1. Backplane PCB usually used a Printed Circuit Board also have been used in minicomputers and high reliability applications.To be a group of electrical connector in parallel with each others, each pin in PCB to each connectors are linked to the same relative pins of all the other connectors forming a internal systems.That is used as a backbone to connect several PCBs together to make up a complete system. 2. 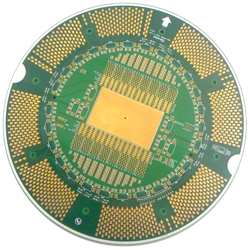 Backplane PCB is often described as being either active or passive. Active backplanes contain, in addition to the sockets, logical circuitry that performs computing functions. In contrast, passive backplanes contain almost no computing circuitry. Traditionally, most PCs have used active backplanes PCB. also including Consumer Electronics PCB, Indeed, the terms motherboard and backplane have been synonymous. Recently, though, there has been a move toward passive backplanes, with the active components such as the CPU inserted on an additional card. Passive backplanes make it easier to repair faulty components and to upgrade to new components. 3. Panda PCB service our customers from prototype through mass production in Backplane PCB, meeting their lead time to market requirements. No order is too small. We thrive in a high mix, quick turn environment. Our on-time delivery, for standard as well as complex technology is in the 95% across all industries. Backplanes boards can endure significant signal integrity disturbances as a result of the unused portions of through holes and vias that extend past their last connected layer. known as "stubs". it will lead SI reflections,capacitance, inductance and impedance discontiunities,losses that become critical as speeds increase. A simple and effective method for managing these stubs is Back drilling. Backdrilling is a controlled Depth Drilling technique that removes stubs with conventional numerically controlled drill equipment. it can be applied to any type of board where stubs cause signal integrity degradation. Decreasing via stub length by backdrilling significantly reduces a particaularly problematic form of signal distortion called deterministic jitter. because bit error rate is strongly dependent on deterministic jitter,Any reduction in deterministic jitter by backdrilling will significantly reduce the overall bit error rate of the interconnect, That is to be improved impedance matching, increased channel bandwidth, reduced EMC radiation from the stub end. 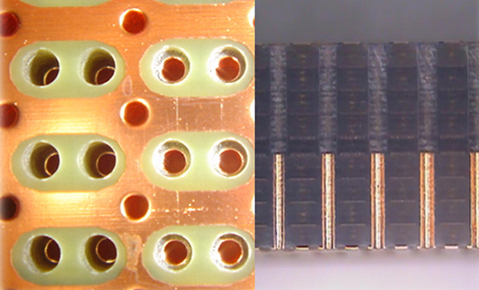 Another technique for managing stubs is the formation of plated blind vias which prevent stubs from forming altogether.Blind via formation is possible at a much lower cost than multiple lamination build up methods and achieves many of the same signal integrity benefits.